Blog » Interviews » Should we do more to support Britain’s creative start-ups? Should we do more to support Britain’s creative start-ups? There’s a lot of talk about tech start-ups in the media these days, with every British town and city claiming to be the next ‘Silicon Valley’ and millions of pounds of investment, marketing and PR going into London’s ‘Silicon Roundabout’ area. But what about Britain’s creative sector? Should we be focusing more time, money and effort into helping people across the UK turn their creative talents into a viable business? 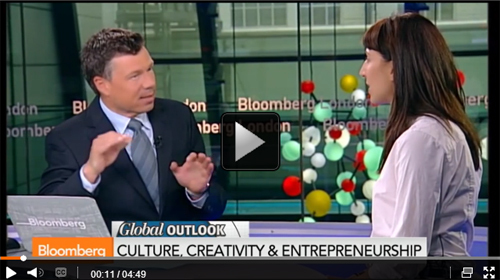 Medeia Cohen from School for Creative Startups certainly thinks so in this excellent Bloomberg interview below and the need for better help and advice is one of the reasons we were so keen to sponsor the Makegood Festival in London at the weekend. What do you think? Do you agree with Medeia and what more could be done to help? Please leave your suggestions below and we’ll see what we can do!